There are a lot of big movies still yet to come out this year, including Guardians of the Galaxy set to kick off the first weekend of August. But, more than any film still on the 2014 calendar, none is higher on my must-see list than The Hobbit: The Battle of the Five Armies. After seeing the first two films, I can’t wait to see how the trilogy ends (I have the book, but haven’t read it)—and this trailer just sold me. 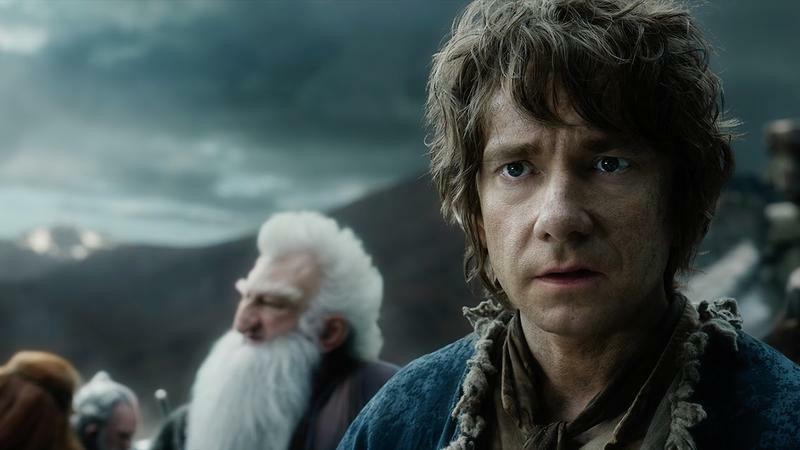 Slated to hit theaters on Dec. 17, 2014, Battle of the Five Armies will see the Company of Dwarves reclaim their homeland from the Dragon Smaug. But with that triumph comes tragedy, as Smaug is shown wreaking havoc on Lake-town. Thorin Oakenshield soon becomes obsessed with his reclaimed treasure—a theme that will run deep throughout the entirety of the film. As darkness converges on their escalating conflict, the races of Dwarves, Elves and Men must decide—unite or be destroyed. Bilbo find himself fighting for his life and the lives of his friends in the epic Battle of the Five Armies, as the future of Middle-earth hangs in the balance. The trailer is bleak, tragic and filled with plenty of incredible eye-candy. It sure doesn’t look like things are being set up to end well, but we’ll have to find out when the trilogy concludes later this year.